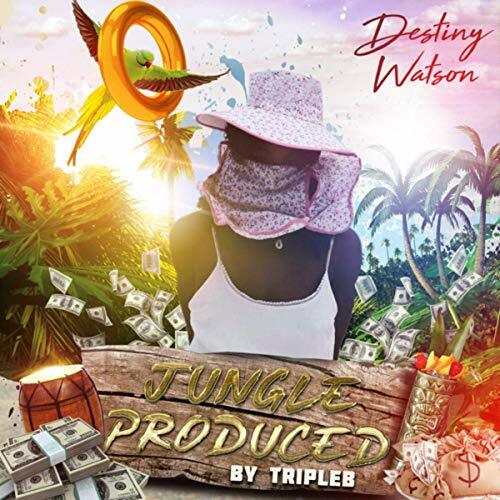 Songwriter, singer, rapper, and flautist Destiny P has released a new single, “Jungle”, with the Tablemannerz DJs. Destiny P began her musical career at the tender age of 6 with musical influences from her dad, Glen Watson, who DJed and played instruments along with her uncle, DJRo. Destiny played the organ and later learned to play the flute, saxophone, and bassoon by her music teachers and band director. Her successful modeling career started her fan base, and it expands into the music industry where she now writes music, raps, sings, and plays the flute. Destiny’s first EP, “Release Me EP,” debuted 6.9.17 and she hopes to spark change in the minds of others with her vibrant poetic sound. She works with a set few of producers, and her musical influences stem from Tupac, Left Eye, Bone Thugs N Harmony, Erykah Badu, Lil Wayne, and Beyonce. The message Tupac carries in his music along with the stories inspire her to write. Destiny being a writer of poetry where boundaries can be crossed, Erykah Badu and Lil Wayne have a fun twist to their style of writing and wordplay which is similar to her music. Destiny is multitalented and would not mind picking up her saxophone again. During the fall of 2017 at A3C, Destiny has opened up for Haitian Mufasa from VH1’s signed hosted by Rick Ross (MMG), The Dream (Radio Killa Records), and Lenny S (Roc Nation) and Skippa Da Flippa of the hit record label QC (@flippahavin). The Release Me EP was up for Grammy consideration for best rap album. Destiny lives by the mantra: Put your mind to it, and you can reach whatever goal you set!” Find more about Destiny P on destinywatson.com. Check out her latest single “Jungle”.